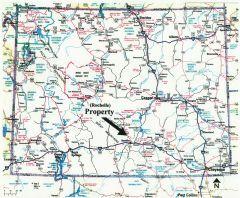 Description: One of the lowest priced 144-acre tracts ($225/acre) with the best purchase terms ($400 down and $320 per month with no credit checks) to be found anywhere in the United States of America today! This basin contains one of the largest antelope herds in the nation. 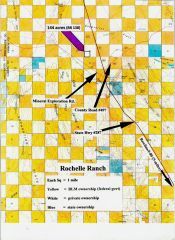 History proves it is literally impossible to lose money owning land if purchased cheap enough and held long enough. Price: $32,400 ($225/ac) with $440 down and the balance of $32,000 payable at $320/mo (amortized over 186 months including 9% interest). 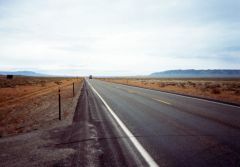 Access/Roads: This property is located in the checkerboard area (meaning alternate sections resembling a checkerboard with ownership alternating between private and the federal government) and access is per long standing BLM (Bureau of Land Management) policies (meaning private owners can cross BLM land to get to private property but the public can’t cross private lands to get to BLM property). An actual road, however, might or might not exist at this time. Surveys: The section containing this parcel was surveyed by the federal government at some time in the past but a private survey for this 144-acre tract has not been completed. Zoning: Basically “agricultural” and if additional uses are anticipated you should contact Carbon County Planning & Zoning Department at (307) 328-2651. Directions: From Rawlins, Wyoming drive north on Hwy 287 approximately 15-miles to where it intersects with Mineral Exploration Road (located on the left or west side of the highway) and County Road 497 (located on the right or east side of the highway); from this location refer to the parcel map wherein the arrow will point directly to the parcel (remember that each square on the map represents one square mile).